Beverly Hills Comprehensive Medical Group is a unique clinic that houses chiropractors as well as medical doctors to provide you with the care you need in an urgent or non-urgent situation. Our Beverly Hills clinic treats many non-threatening life conditions such as headaches, back pain, neck pain, sore throats, ear pain, kidney infections, herniated discs and injuries. 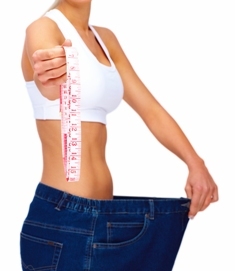 Our chiropractor also provides weight loss counseling services through a program called execuSlim. This physician-supervised weight loss program consists of a weight management program and comprehensive nutritional plan. The execuSlim curriculum helps control hunger, enhance fat burning in your body and teach you how to enjoying eating foods that are healthy for you. Our main goal is to give you the resources and tools you need to achieve and maintain a healthy body weight. The execuSlim plan combines a low-glycemic nutritional strategy, vitamin supplements, medication (if applicable) and exercise. All of these elements work together to increase energy levels and boost metabolism for effective weight loss. Zone products are used during your initial weight loss period and are available continually to aid you in maintaining and keeping your weight off. The preliminary consultation for the execuSlim weight management program takes about an hour and a half to complete. It begins with an evaluation which includes a detailed overview of our program, a weight and body fat analysis, full blood panel, supplemental injection, a complete medical consultation and suppressants that are FDA approved. Our chiropractors and staff will work to design the right plan for your individual needs. Our product line-up includes FDA-approved appetite suppressants combined with vitamins, minerals and amino acids to control hunger and enhance overall fat loss. Nutritional plans consist of lean protein, favorable carbohydrates and good fats which produce a low glycemic diet. Weekly check-ins helps keep you on track and motivated to follow the agenda. Our nutritional plan helps curb sweet and starch cravings while increasing your body's ability to use and burn fat for more energy. If you follow the execuSlim program you can expect to lose 5 to 10 pounds your first week. Most patients will lost 15-20 pounds their first month. This weight management plan does not require you to exercise; you can still lose weight and develop muscle without exercising during the execuSlim course. However, as with any weight management series, we do recommend our patients to keep active in order to maintain their overall general wellness and good health. We treat anything from general sickness and injuries to more complex problems stemming from illness or disease. Our medical and wellness professionals will have you feeling better and get you on the right track for overall body wellness and optimal health. Whether you need urgent medical attention, pain relief from musculoskeletal pain, rehabilitation from injuries or weight management services we can help. Visit our clinic today for a full consultation. Learn more about ExecuSlim, BHCMG's physician-supervised weight management program.